Last Full Moon of the year. 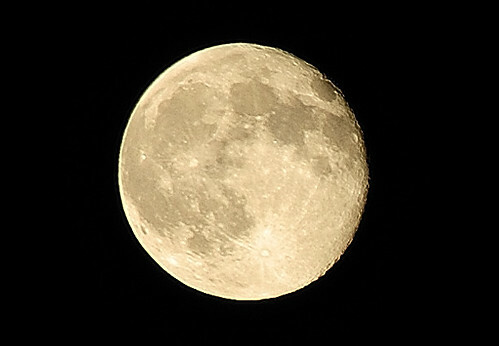 This evening is not just the last Friday of 2012 but the last full moon of the year. And what a year it has been; I have learned more about myself then what I expected and took on challenges that a few years previous I would have hidden from. So as the Sun starts it’s journey back, bringing us out of the dark part of the year, it’s time to start dreaming of the year to come. Of what we might learn, of what we may bring to it and how we will face the challenges to come. Time to look back and take stock of lessons learned and plan to make ready for more wishes to come true. What dreams to you wish to come through for the next 6 months as the Sun reaches it’s high point? Will you be ready for them when they knock on your door? There is still many days of winter left, time enough to clear away the old so that we may nurture our new shoots when spring comes. Every cycle has it’s point of rest and reflection and I think we do ourselves a disservice by not making the best of them. Time to dream in the dark for a while.